Credit hacks dissected: Do these really work? “These are things we called score gaming at myFICO. FICO ’08 closed the loophole around authorized users to an extent. People were using his method number one to add users to anyone with a strong credit history to get the score boost. FICO ’08 now checks the likelihood it’s an honest auth. user [parent/grand parent, etc. ] and will let the scores intertwine. Yes, it can happen pretty quickly. Number 2 is not true, company has to remove it in 30 days if it can’t verify it, but it does count against you while they investigate. Said another way, you send in your dispute on August 1, the company doesn’t need to update your score immediately when they get the dispute. They have 30 days to investigate and respond. Learn more: Read more about the hidden perks of credit cards. What credit hacks do you know about? The best credit card hack I know is to ‘hack’ them into little pieces. Focus all the energy from ‘gaming’ them into something in your life worth more much, much more to you. A.k.a. anything really. Be warned, most of these so called hackers are imposters, I’ve been ripped off 4 times already, thankfully my friend gave me a reliable contact, he works with discretion and delivers, he does all sorts of hacks, I would prefer to let his services speak for itself, you can contact him at blackhackguru@lycos.com, if he asks where you got his contact you can say from Paul. Need a hacker?was in a bit of some really embarassing cyber issues which led me to meeting some scammers as well but my will to solve my issue eventually paid off when i met Todd Lviv,his workrate,professionalism and discretion is topclass.Hit him up at hackathon666@gmail.com.he’s kinda picky though so make mention of the reference.Anna referred you.You’re welcome. #1 can work to your disadvantage- my (financially irresponsible) parents added me as an authorized user on their credit card when I turned 18. I was responsible for my own finances, but I was moving to college, and this was a nice “in-case-of-emergency” gesture on their part. However, I never had any emergencies, so I never ended up charging anything to their account. I didn’t realize I was still on their card until I ran a credit report when I was 24. Surprise! Despite the fact that I had never missed a payment or carried any debt whatsoever on my own credit cards, my parents’ terrible credit affected my credit score. After a few phone calls to the card and correction requests to the credit agencies I got things resolved, but there were several years there where I was completely unaware of the situation. Another lesson in the importance of checking your credit score! Yeah that’s a great point, JW. Thank you for researching this! My husband is from Germany and has *no* credit history in the US. I’m adding him to my checking account which I’ve had since 1993 which has a revolving credit line as overdraft protection. Since this would certainly be considered a legitimate authorized user, I’m pleased to learn he may be getting an instantaneous credit boost. Woot! (And no it won’t be the reverse situation as for poor JW as I just secured a 4.75% mortgage rate. Double woot! Any wife who says “double woot” makes me suspicious. Lindsay, are you really a woman. I agree with Baker. Don’t worry about your credit score because all it does is show you’re good at borrowing money. Not impressive! Worry more about saving up cash and paying off any debt you have. If you’re responsible with money, you can get a mortgage with no credit score. You’ll still may get screwed on insurance rates, but if that’s the only problem you have due to not borrowing money, then it’s no big deal. Hi Everyone! 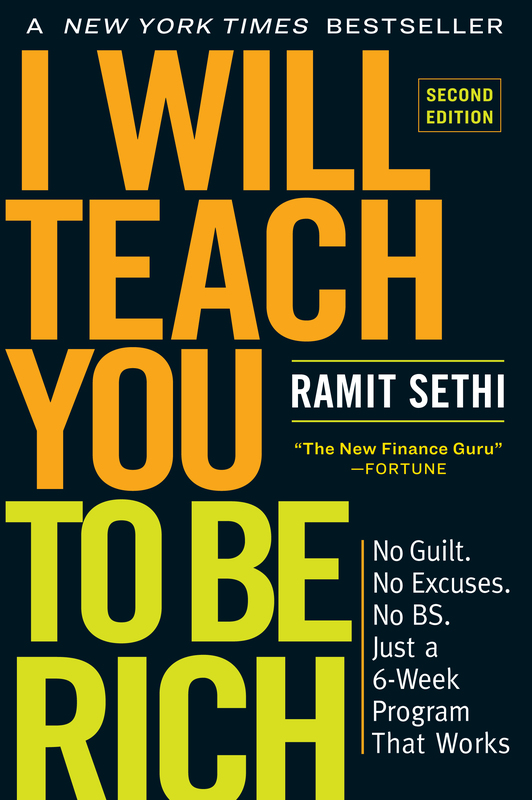 Quick question: Ramit, just came across your “I Will Teach You To Be Rich” book today. I’m thinking about ordering it but am curious: does it have advice/chapters on credit score repair? I am 23 and have collections/past due accts on my report from my undergrad years (all paid now) and graduate school student loans. I just started my first “real” job, so I’m looking for a roadmap for saving/getting my financial footing & credit repair. Thanks! Not really a credit hack but for anyone concentrating on improving their scores while still “getting back on their feet”, keep accounts current that are actually reported. That means don’t worry about being late on the electricity vs sending in your min payment on the credit card. Obviously you want to keep the lights on, but the idea that utilities help build your credit score keeps persisting, they don’t. They can be used as references but thats all. Ramit on thing I would like to know, went through the mortgage application process and I was told by several people that “medical accounts” presumably collections by hospitals and such are disregarded for credit scoring purposes by most lenders as health care billing is notoriously incorrect. Please check this to see, as obviously the sums in health care are quite large and incorrect billings can occur, most people cannot afford to pay them to protect their scores and must fight them till corrected. While I am sure you think it would be nice if you could just waltz into a bank and tell them that you have no credit score but you are responsible with your money and have good table manners to boot so can they please give you a mortgage – Unfortunately, in the real world it just doesn’t work like that. Using credit cards responsibly is a great way to not only save some money via rewards and insulate yourself from theft but also build a credit score and in turn get great rates on a mortgage and insurance. Some banks will do manual underwriting if you don’t have enough credit history for a score. Not very many will do it and a substantial down payment will probably have to be made. Interesting post. I have a good question that I hope someone out there can answer. Okay, I am 21 years old and am in my last year of college. I have two credit cards, one with $3000 limit, and one with $800 limit, and I have never made a late payment]. I understand that maintaining high credit limit improves your credit score over time. But I also know that calling the credit card companies and asking them to increase my limit adds an inquiry to my credit report. I am not going to be applying for any major loans for at least 2 to 3 years, so I am assuming that any harm these multiple inquiries will do will dissolve in a couple years time. So the big question is: Should I phone the card companies now to increase my credit limits, so as to improve my credit score, or is this a bad idea? for any form of hacking, low grades, database, credits, facebook, you can contact this dude jordanrowly@gmail.com. this is not an advert.. i promised to announce him to the world when he helped to hack my grades.. If you professional and experienced hackers providing hacking services for a variety of client needs. political, business, or personal reasons, you’ve come to the right place! from breaking into social media accounts to network security consulting. need a hacker for hire for all of your ethical hacks,school upgrade,money transfer,blank a.t.m’s,look no further than zlamor zhirkov at thewhitehackdemon@gmail or text him on +1(8283677582).He’s a guaranteed job well done and he’s got evidence for you as well. If you are looking for a professional Hacker that specializes in school grade change… contact James ASAP, he does over Four School grade hack everyday. His jobs are secured and without trace. He did for 3 of my after I couldn’t graduate from 4th course . He is really a programmer .. you can contact him.. Finally there’s hope for us all with crazy student loans still weighing us down. BE SMART AND BECOME RICH OVERNIGHT… I had bad credit and i saw an ad by a hacker on the internet, I contacted him and he did bank transfers for me and I made over $25,000. Yes, Twenty Five Thousand US Dollars in less than two weeks. Tried, Tested and trusted. All I needed was a USA Bank Account with Online Acess (If you have more than one account, Even better), That’s all and you have Money Overnight, Literally Overnight. Yes, sleep and wake up and there’s money in your bank account. Only serious individuals should contact him please. Its that simple, Tell Your friends and loved ones too. We are professional and experienced hackers We provide hacking services. You may be Searching for a professional hacker, You may want to hire a hacker for any personal, political, company or any others special reason. If you seriously want to hire hacker, want to hack your target website, you are in ads right Or service includes 1. Database exploitation, penetration and sniffing 2. School Upgrades 3. Facebook, Email, cooperate email hack 4. Computer data recovery 5. SQL injection 6. Sale of keyloggers software, Phishing and many more We have the maximum experience to tackle the impossible. You want your job done immediately Our contact: cresthacker35@gmail.com and no upfront payment we will surely reply you ASAP. Am not a fan of this sort of thing but after been scammed 4 times i finally met an ethical hacker that can change your grades, get you a citizenship permit, wire funds, hack email or social media, hack your bf or gfs iphone, fix your credit score,clear criminal records, clear dmv records just name it Contact albeithacker AT yahoo DOT com…. affordable,effective, efficient. removal of links from website. His jobs are secured and without trace. Having a Low credit score hurts,If you Need a reliable Hacker to Help Increase your Credit Score or you have no history of a credit score. Contact hackersbird@protonmail.com, your credit score will be fixed. I have a story to tell. i and my Husband need credit repair, so we contacted this hacker, We explained to him about all the negative items on our report (around 25 negative items and 3 positive items) on my report with total debt was around $38,000. He stated to me: Yes! I can fix it in 45 days! i was excited! Now my Husband’s credit had 15 negative items and 5 positive items. His total debt was around $19,000. After analyzing both credit he stated we can correct both within 45 days! i was like WoW. its been 6 years the last time we had good credit. It was hard for me to believe. Well we got around to the cost of credit repair. When i asked he told me our price $3000 but i will receive a discount if both (H&W) start credit repair at the same time. i was like: that is a lot of money. he agreed. he asked me: How much total you and your husband need to pay off both of your debt? i calculated a total of $57,000 in debt (H&W) he said: Well, you can pay off the $57,000. or you can pay me $7000 to correct both credit reports within 45 days. After the 45 days had passed and he provided the finished jobs the least score was 782. Both my husband and i introduced him to our mothers, fathers, brothers, sisters, close colleagues and friends. He is very efficient and thorough type of person, asides from being an elite, if he works for you , you never have to worry about anything backfiring ….it is permanent, contact him (hackountantgeneral AT hotmail DOT com). I am saying all this here cause i don’t think anyone deservers to miss the train, you want to end the bad credit? he got the keys, just mail him, this aint a scam!! Databaseexpert! I love his cause,it is fast and reliable….He stick to time! I think you guys would find this video very helpful , it helped me make the right decisions regarding my credit report, search for “CHKJ6652” on youtube. Am not a believer of this sort of thing but my cheating gf pushed me into finding help anywhere i could get it, i heard about hackbishop AT cyberservices DOT com from a good friend and decided to give him a try, i had to know the truth!! After contacting him we talked and negotiated and on the day he told me i would get the access i needed, i got it!! I found out everything i needed to know!! So i always keep my hacker friend (‪freelancehaker@repairman.com‬) close. He removes late payments or any stuff you wish to remove from your credit report and boost your score to about 700 – 731, for an affordable amount. PHONE : ‪(269) 351 5870‬. my grades was in a mess, i was not proud of myself, but something needed to be done you know what i mean. i saw this hacker being praise on youtube i decided to give him a try and my grades are back to normal. if you really need help contact besthacker21@gmail.com for a smooth hacking job. this is my way of saying thank you. Having problems with your spouse, need to do what ordinarily seems impossible? You need to hack anything whatsoever within a reasonable time? topnotch service(s) that leaves no traces and i bet they are the best at it. look no further, contact: www.hacktified.com. Thank me later. If you need to hire a legit hacker for website database hack, phone cloning hack, telegram hack, topping credit score, background checks and surveillance, access to social networks, school servers, icloud and much more, viber chats hack, Facebook messages and yahoo messenger, calls log and spy call recording, monitoring SMS text messages remotely, cell phone GPS location tracking, spy on Whatsapp Messages, track internet browsing history. Free updates and 100% Undetectable. His works are totally discreet and professional. You can get to him at computerworm.hacker@hotmail.com for all types of hacks. He his picky so make sure of the referral and thank me later!!! I don’t need new credit. I am 73 years old, and have assets. However, I do pay auto and home insurance each year and not having my home and auto scores maxed-out affects what I pay for home and auto insurance each year. Probably costs me several hundred dollars for my private residence and rentals.I repeat, the credit rating agencies have more power over your financial life than you can imagine, and they report to no one. Not one government agency will get involved in the algorithms used by rating agencies. It’s their call. Not even the new Consumer Protection Agency will touch this subject. I know. I tried to get them involved but got disappointed..As usual no response..I was able to put a full stop to through the help of a young man and now my scores are what I want it to be..He’s honest and very intelligent..The way he worked it all out I have no idea but he did..You should contact him today he will help change your life..+1(614) 669-5983. I can’t thank you enough dude. You are the best!!! hacking guy called Scott. he is really good at what he is doing.